Forget stuffy. Be sure your guests let loose and truly enjoy your wedding with these entertaining ideas — straight from the pros! Make the guest feel like integral parts of the day by incorporating them into the décor — in a gallery of meaningful photos. "We do something we like to call 'memory lane,'" says Northern California event planner Sasha Souza. "We hang pictures of the bride and groom with friends and family along the walk from the ceremony to the reception. It's a fun cocktail party conversation starter." As guests take a leisurely stroll and find pictures of themselves with you, they can reminisce and socialize. When you enter your reception for the first time as husband and wife, don't just take a conventional arm-in-arm stroll. "Run. Skip. Dance. Swoop in on a rope swing!" suggests Alyssa Brown of AE Planning+Design in San Francisco. 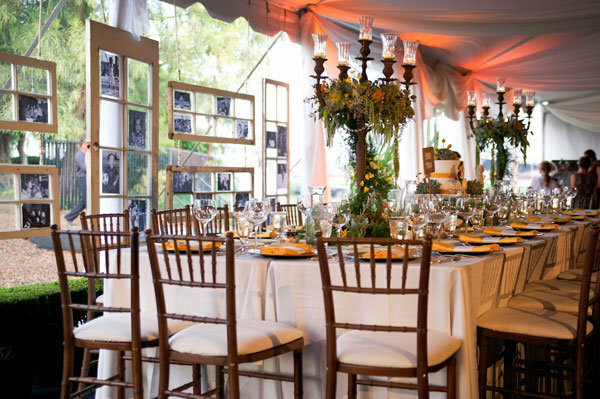 Brainstorm with your groom about the most creative, appropriate way to make a big impression. This is a great way to break the ice and set up for a fun vibe for the rest of the event. "We did a wedding where the menus were puzzles, so each person got one piece of the puzzle at their place setting, then everyone had to put the pieces together to get the full menu description," says Brown. 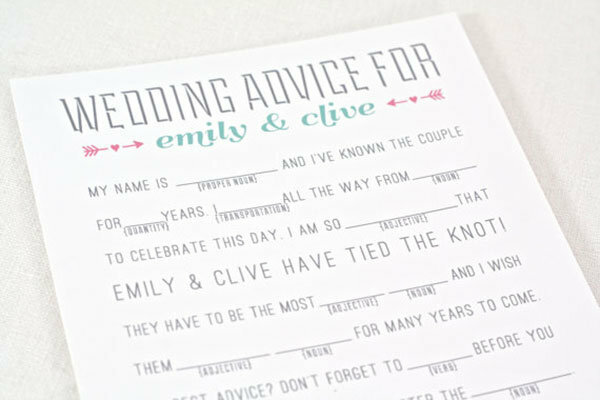 "Crossword puzzles are fun for the back of a program or if you have guests going on a long bus ride to get to the reception venue." Guests always love the energy of a live band but tend to want to hear the original artist sing their favorite tunes. As a compromise, a bride may hire a dance band but also play DJ'ed music during the breaks, or she'll arrange to have live music during some parts of the event and recorded music during others. Souza suggests combining the best of both worlds — at the same time. "We've worked with a band called The Infusion Experience," says Souza. "The DJ plays the original music while the percussion players play live. It's a huge crowd pleaser!" "Pablo Neruda is the world's most romantic poet," sats Bussen. "And a modern, pretty paperback edition of his love poems makes a wonderful, lasting guest favor that's much more meaningful that a bag of Jordan almonds! If you buy in bulk, you might get a discount — contact your bookseller directly. And don't forget to add a personalized bookmark thanking your friends and family for sharing your big day with you."